Later that night I was laying in bed thinking of how to make this happen. 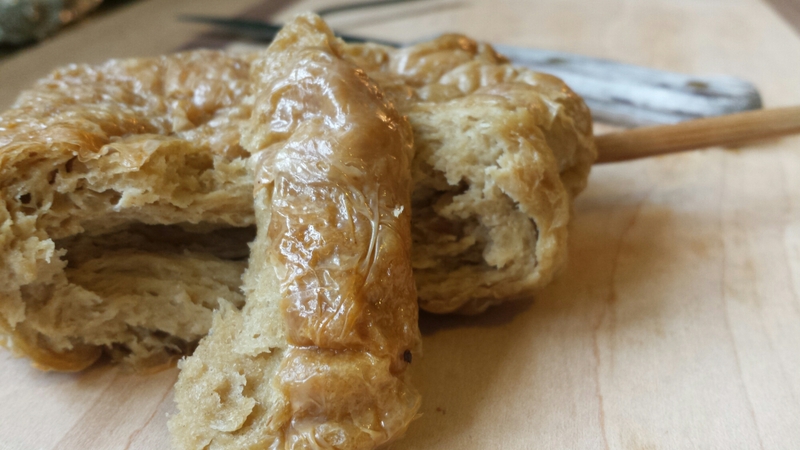 It has been years since either of us has had meat, but the idea of a crunchy, chewy protein on a stick still has its appeal. I’d made the turkey loaf recipe a few times and it had the same texture i wanted for my “turkey” leg. Using the basic technique for the loaf recipe, I played with different measurements and seasonings to better replicate the turkey flavor and create a denser structure. I then made fresh yuba to wrap around the turkey cutlets and give that satisfying crunch. Miyoko Schinner was the inspiration for the yuba as skin in her Unturkey recipe, available here. 1. 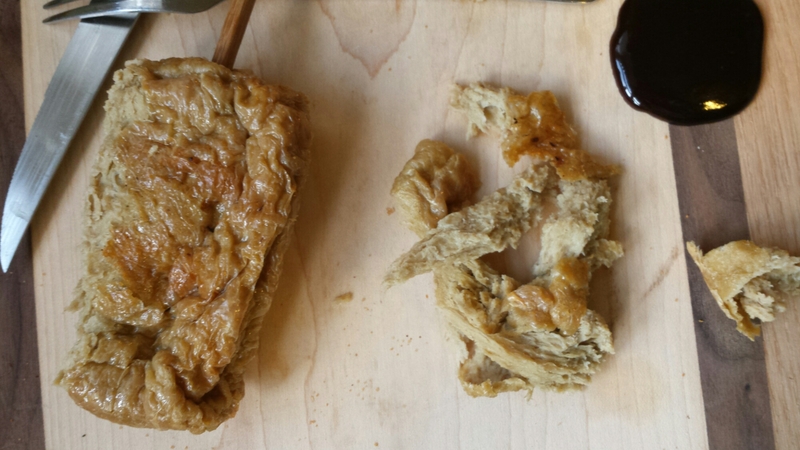 Cut your tofu into 4 equal slabs and press well, wrapped in towels under a heavy weight for 1 hour. 2. 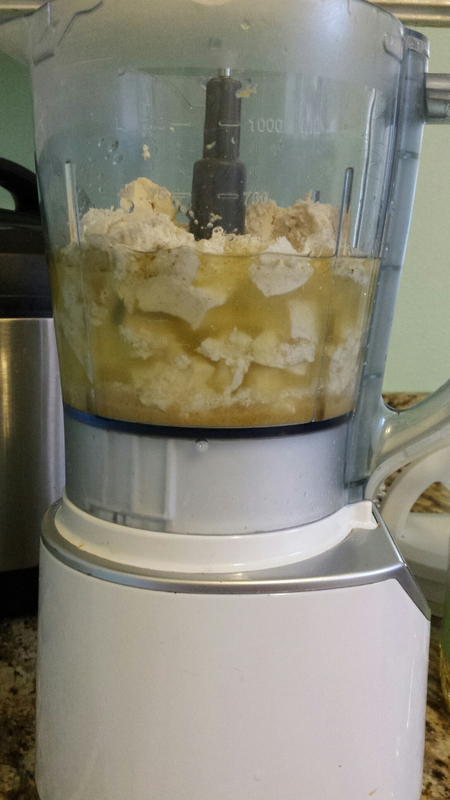 Crumble THREE portions of the tofu into a blender with the water, oil, soy sauce, miso, and seasonings. 3. 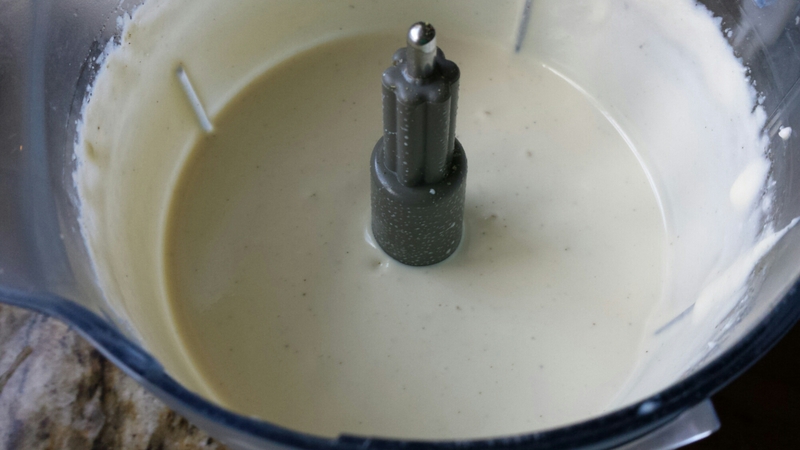 Completely blend the tofu until it looks like a thick cream. 4. Mix into the vital wheat gluten in a large bowl. 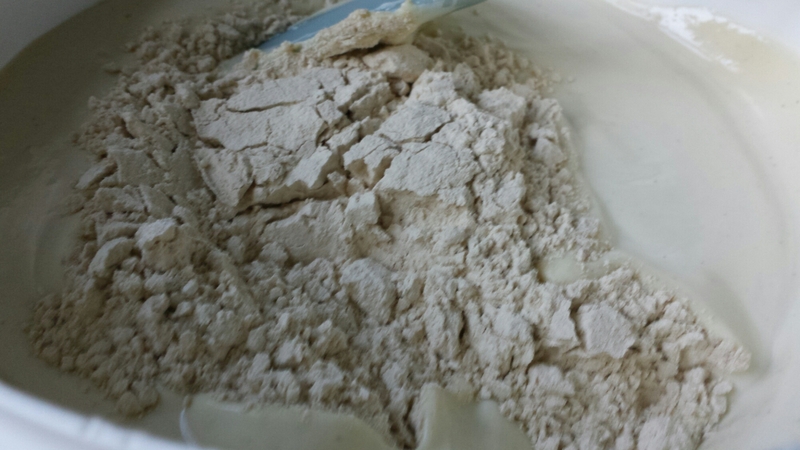 When dry mixture is completely combined, dump onto a clean work surface. 5. Cut into four slabs from the original large slab. 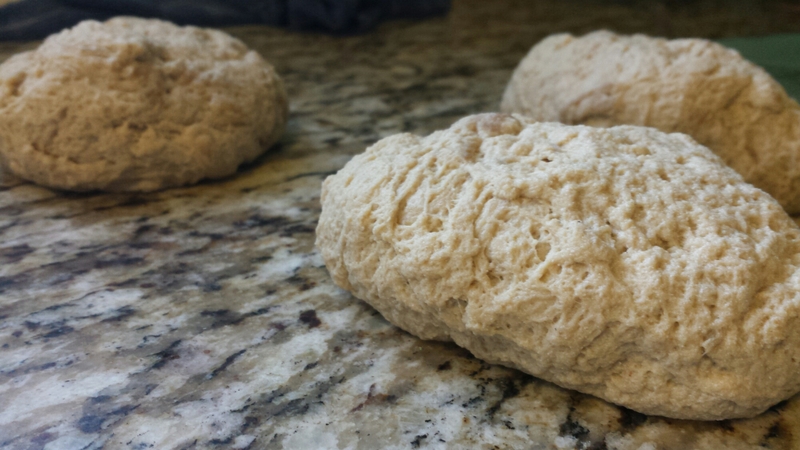 Knead each one individually until it becomes stretchy and smooth looking, about 5 minutes. Oil a large sheet of aluminum foil with coconut oil and place skin side down. Add seasonings on top of the oil, if desired. 7. 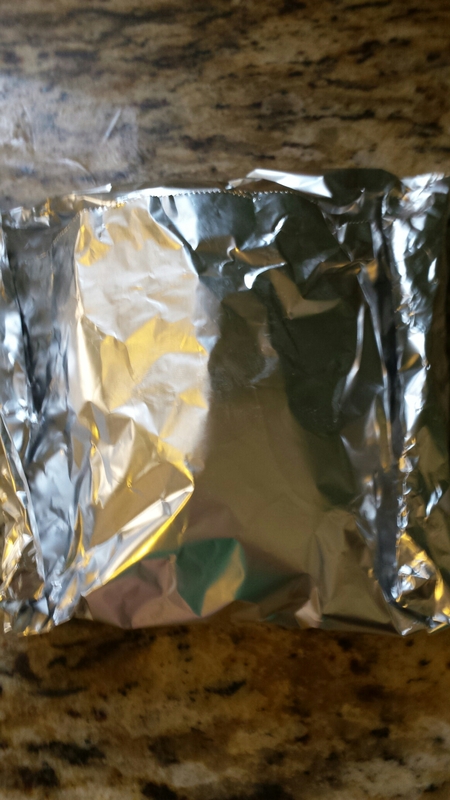 Fold aluminum foil to form a package in a square shape. Fold the top and bottom in, then make seams along the edges. Leave a little room for expansion along the edges. 8. Place the packet on the middle rack of the oven and bake for 60 minutes. 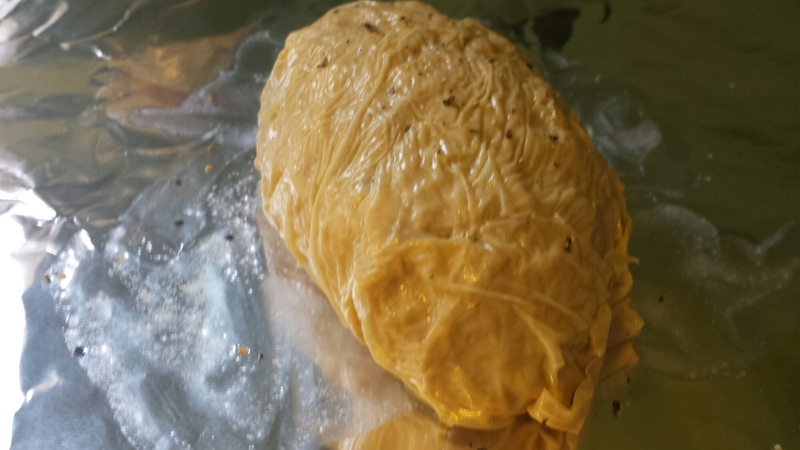 Remove from oven and unwrap foil and bake for an additional 15 minutes for a crisper skin. 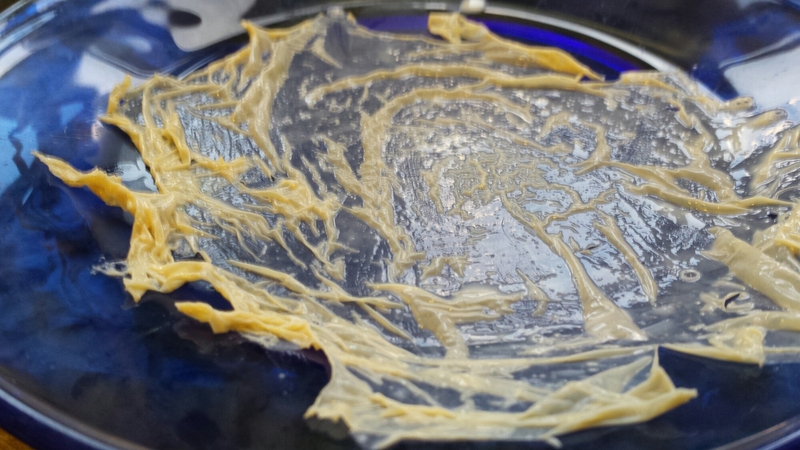 Remove again after 15 minutes and transfer to a large sealable container. 9. Add a chopstick or popsicle stick for a handle, if desired. 10. Serve with dipping sauce of choice. If desired, coat in barbecue sauce in tin foil and bake for an additional ten minutes for a barbecued turkey leg. 1. 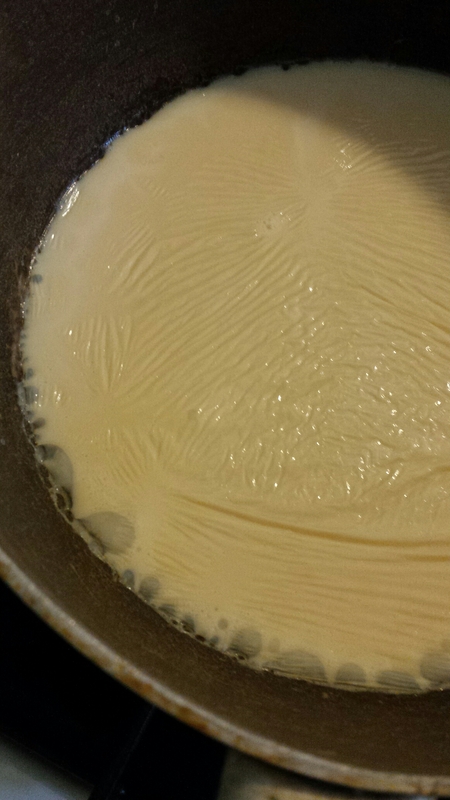 Heat soymilk in a medium nonstick pan over very low heat. After about 10 minutes you will notice the surface developing a skin. 2. When the skin is thick enough to handle, break the edges around the pan with a knife or chopstick. Gently lift up and place on a plate. It may break or tear if it’s too thin, but using several layers on the turkey, it won’t be noticable. *Alternatively, you can purchase frozen dried yuba from many Asian markets. Just rehydrate according to the directions until it’s pliable enough to wrap. 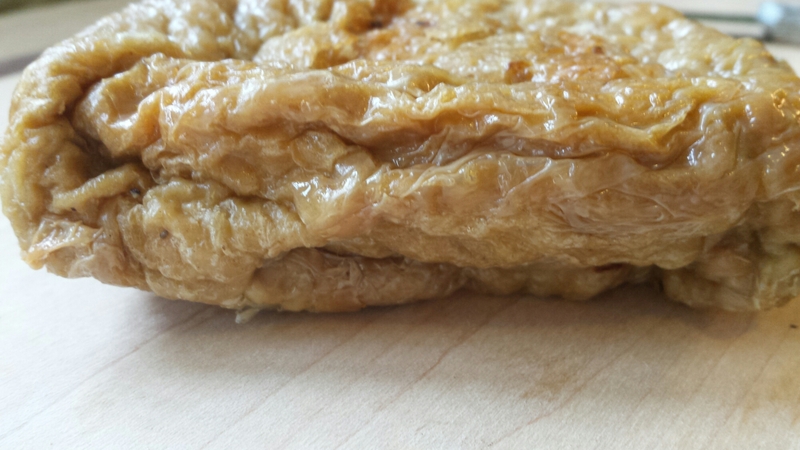 If you do chose to make you own, it’s easier to start it when you begin making the seitan, as it takes about 10 minutes for each layer. Try to use soy milk that only contains soybeans and water; I like Westsoy organic and Trader Joe’s brand. It may not work as well with commercial brands like Silk that have additives, I have not tested it.